Most journalists may have been pressing for more details about Vauxhall/Opel’s recently announced sale to Peugeot/Citroen, but the new Insignia Grand Sport was also generating plenty of interest at Geneva. 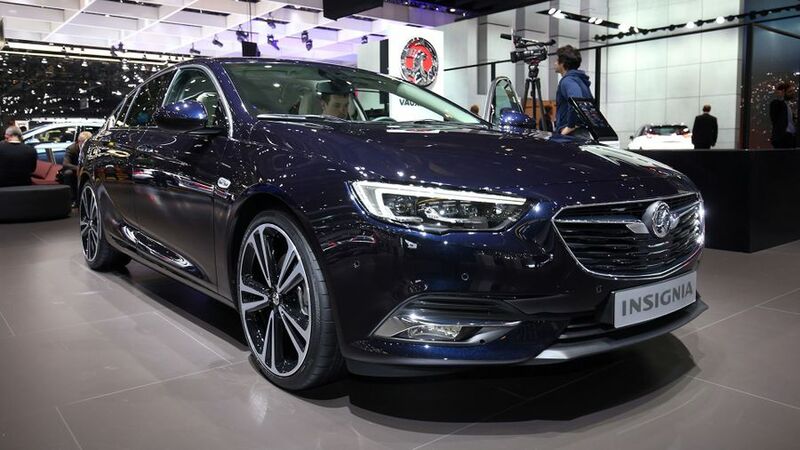 The new model is the successor to the current Insignia, and although it’s similar in size, the new car is said to be much more spacious and lighter than the car it replaces. 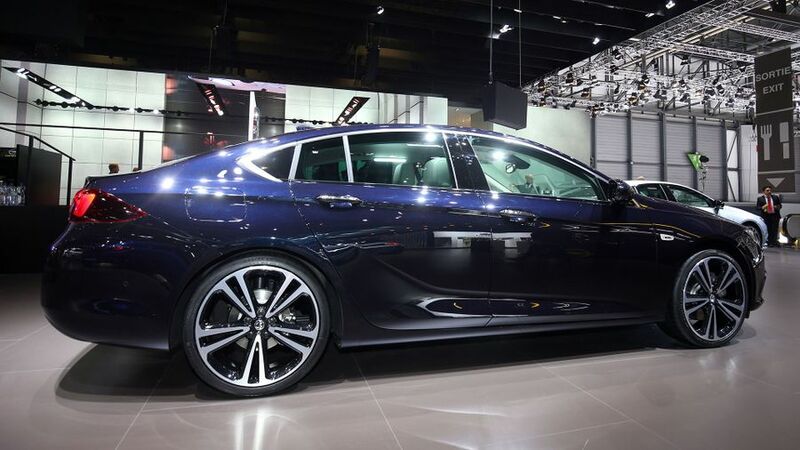 The car on the stand showed off what was already obvious when the first pictures of the car were revealed last December: the designers wanted to make the new Insignia look longer, lower and wider than it is. That effect starts at the front, with a prominent grille that sits lower than on the current model and is flanked by slim headlights. Along the sides of the car, you can clearly see the ‘blade’ feature that is familiar from other Vauxhalls, while another fold runs from the front door through the door handles to the rear, and the aerodynamic coupe-like profile is emphasised by the chrome trim running over the top of the side windows. Inside, Vauxhall says it has tried to make the cabin more driver-focused. Not only does the driver sit 3cm lower than in the current car, the controls and displays are angled towards the driver, with the infotainment system centred around a frameless touch-screen and said to be more intuitive than the current car’s system. Just ahead of the show, the car’s prices and specifications were announced, and Vauxhall claims that the relatively low prices will translate into significant tax savings for company car drivers when compared to rival cars. There’s a huge choice of models available, and the range starts at £17,115 for a model with the new 1.5-litre turbocharged petrol engine and the most basic Design trim. Diesel-engined models, with CO2 emissions from 105g/km, start at £18,845, while top-spec models are close on £30,000, but come with four-wheel drive and a 2.0-litre turbocharged engine. Buyers can choose from Design, Design Nav, SRi, SRi Nav, SRi VX-Line Nav, Tech Line Nav and Elite Nav trim levels. The Insignia range also includes the Sports Tourer estate, which costs from £18,615, and will soon be extended by a more rugged-looking Country Tourer version of the estate, which we're yet to see. The hatchback and estate are available to order now, with first deliveries expected in July. Interested in buying a Vauxhall Insignia?